Napoleons Casino is one of the two Napoleons Casinos in Sheffield and is located on Livesey Street. 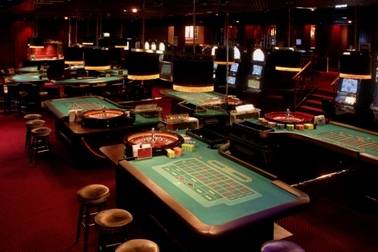 Play a variety of games including American Roulette, Black Jack, 3 Card Poker, Texas Hold'em Poker. Choose from several slot machines that offer £4,000 jackpots as well as electronic Roulette terminals. The casino caters to all kinds of players, from the serious professionals to those learning to play who can attend the "How To Play" evenings and learn more about the games. Facilities include covered outdoor smoking area for use with heated lamps, a valet service, disabled facilities and ample car parking. Everyone over the age of 18 is welcome to the casino and membership is free and instant. The dress code is smart casuals. The casino is open 7 days a week from 4pm to 6am. The restaurant is dinner between 7pm and 9.45pm from Wednesday to Monday and up to 9pm on Tuesday. The supper menu is available daily from 11.15pm to 2.45am. The bar is open daily from 4pm to 3am. The restaurant at Napoleons has a multi cuisine offering and uses the freshest ingredients. Their extensive selection of wines perfectly compliments the food and is definitely worth a try out. Whether it's a romantic dinner, a celebrating or just a night out with friends, dinner at Napoleons is certainly a memorable affair. The casino is geared to hosting parties and has special packages that include drinks on arrival, a superb menu and £5 worth of gaming chips to play the tables. Also available are packages for corporate events - simply speak to the staff and they will ensure that your event is a resounding success.